Retro Style, Ideal for Liners – Fiber bobbin, Brass plated cores & fittings, double insulated winding, insulated capacitor sealed with plastic shrink wrap (very powerful & smooth running). 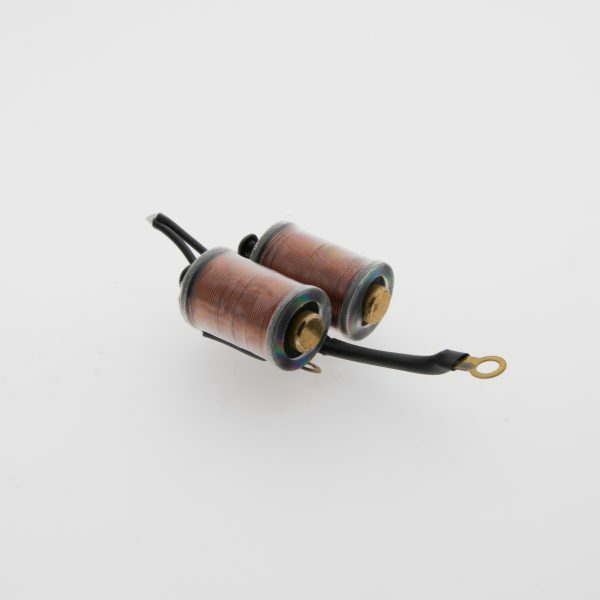 Core size 8 x 34mm approximate rating 2 ohm. Comes complete with screws.